Quick and easy to cook. The cream makes it a splurge. Tasty, though it could have used a bit more bite in the sauce. A pinch of cayenne might have helped. Served it with brown rice, which seemed a particularly good foil for the sauce. The editors of The New York Times are cooking everyone's favorite meal--chicken--in a classic new cookbook. Readers will learn the best ways to cook America's favorite meal with recipes that include the classic roasted chicken, chicken with forty cloves of garlic, Southern Fried Chicken, grilled Mexican chicken, and chicken with ginger and snow peas. Linda Amster has included recipes from American restaurants and chefs like Zuni Cafe's Winter Chicken, Moira Hodgson's Chicken Tagine, and Pearl's Lemon Chicken. In addition, each section has some recipes classified as Easy or Easy/Fast that makes it possible for anyone to put a chicken dinner on the table for the family at the end of a hectic day. 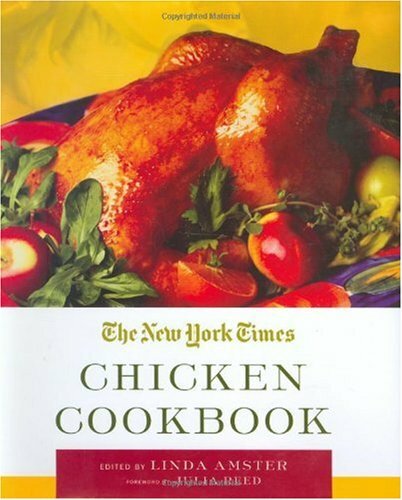 Straight from the pages of The New York Times, this is the authoritative cookbook on chicken that home cooks will cherish.